Welcome to the 1st ever Spooky Movie Podcast… this month, TOP 5 VAMPIRES! Well March came in like a lamb, but we’ll get through it like a LION(man!) 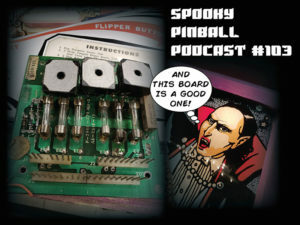 with the latest installment of the Spooky Pinball Podcast. 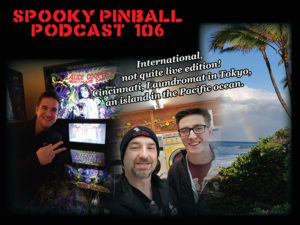 Bug and Charlie discuss a new top 5 pinball list, and you’ll hear from Bryan Kelly and a few others on Dining With Spooky. Dr. Dude is on Danni’s list of games to master, and of course James still lurking in the E.M. Dungeon. 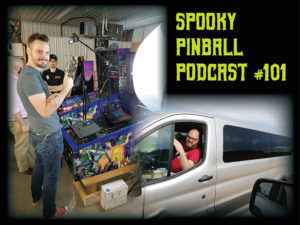 Pinball Life is here with a prize good enough to cover a pile of your pinballs in Perfect Play, and we’re going to just give them away! This month, we’re gearing up for the Benton Labor Day parade with a big ol’ crazy surprise that we’re going to roll right down main street of our hometown. 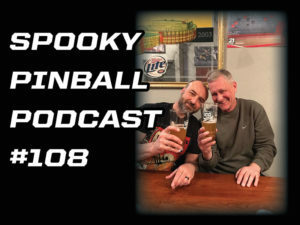 We’ll talk to a new partner company on “Dining With Spooky”, hear from James in the E.M. Dungeon, Danni on Batman 66, and a few more crazy gabby moments of fun! 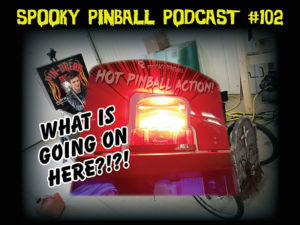 Terry from Pinball Life is tossing in the most fun topper for your Total Nuclear Annihilation ever offered, and we also have a big announcement regarding that game. 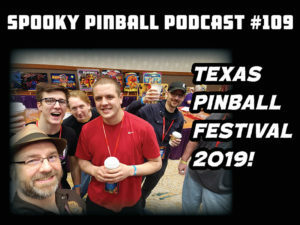 Also, we’ll have a word straight from the sources on the 34th, 2108 edition of Pinball Expo. 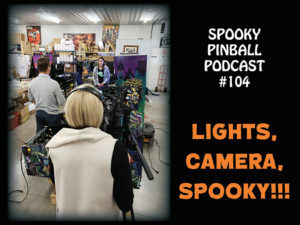 Strap in, hang on, and get ready to roll with the 102nd episode of the Spooky Pinball Podcast!